Faced now with the possibility of nuclear war in East Asia, I often wonder what civilians annihilated in the heartless campaigns of modern warfare might have said about their untimely deaths that were ordered by tyrants and presidents far removed from the scenes of devastation. So many innocent lives have been lost to conventional bombs, atomic weapons and in recent years, drones. Have democratically elected leaders searched their souls and come to terms with what really occurred in Hiroshima and Nagasaki? Technology has made warfare impersonal and cruel, yet it seems that the heads of nations are willing to discard their highest principles in exchange for the latest war technologies and weapons of mass destruction. 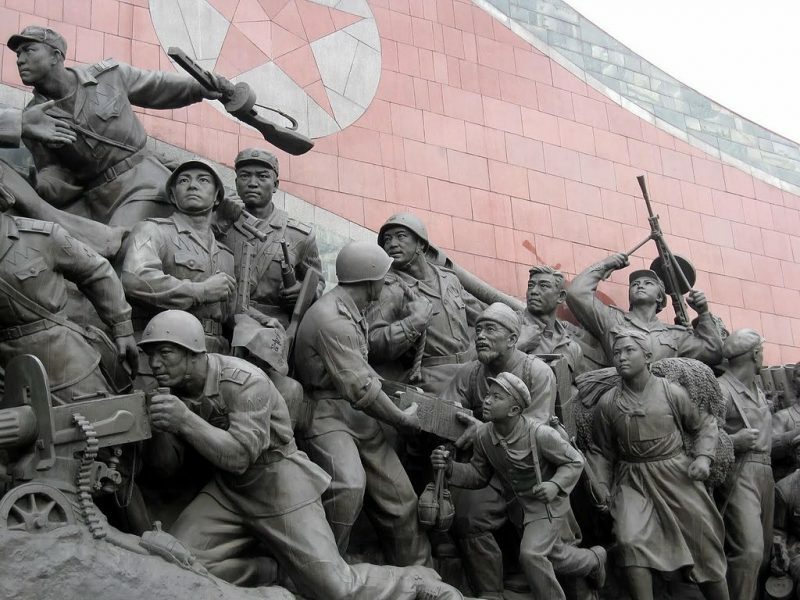 In the present confrontation with North Korea, the foremost consideration of the U.S. government is whether an attack on North Korea will endanger the American homeland . In theory, the United States is supposed to defend its allies, South Korea and Japan. However, if the authorities are truly concerned with the safety of their allies, provoking a desperate dictatorship that has openly declared its intent to launch missiles against South Korea and Japan is extremely problematic, both strategically and from a humanitarian point of view. The U.S. military routinely advertises  the pinpoint devastation that can be wrought by its ‘bunker-busting’ weapons, with the clear aim to ‘decapitate’ the North Korean regime. Military experts argue that 300 Tomahawk missiles are sufficient to disable North Korea’s military, but this does not guarantee that they can destroy all existing missiles and nuclear weapons, were these to be simultaneously launched from hidden bases, mobile launchers and nuclear-submarines. It seems that the Pyongyang regime has been forced into a siege mentality—a rational fear that the U.S. will use its conventional forces to eradicate them at any moment. Ironically, however, the world now faces the troubling predicament that the current U.S. administration is itself caught in a similar psychological trap. While Pyongyang pushes ahead with the deployment of nuclear-tipped ICBMs , the Trump administration may conclude that its only recourse is to launch an immediate attack, in spite of expected collateral damage to its allies. It is unnerving that presidents, prime ministers and dictators alike have the power to detonate weapons of mass destruction. The citizenry of these military powers has not officially sanctioned or granted them this authority through referenda or other democratic means. When one looks back at the Manhattan Project , it becomes painfully apparent how General Groves, the project’s director, swayed President Truman  to authorize the dropping of the atomic bombs. In the decades that followed, few checks were placed on the chain of command to prevent emotionally unstable presidents from acting impulsively on their animosity and fear. Simply put, both Trump and Kim Jong-Un have dangerous degrees of authority that neither the American Founding Fathers nor Marx and Engels could have envisioned. It is surprising that the South Korean and Japanese heads of state are not more insistent in their opposition to a U.S. offensive against North Korea. Koreans above the age of 70 remember in graphic detail  the devastating carpet bombing that wiped out Pyongyang, and are aware that Kim Jong-Un’s army will attempt to wipe out Seoul with equal fury. The Japanese position has remained the same since current Prime Minister Abe has ascended to power. Pledging unquestioning support to Trump’s foreign policies, Abe has repeatedly declared that Japan will soon try to amend the Constitution to allow for its own military to “defend the country”—a development that undoubtedly would destabilize East Asia even further. Instead of trying to seek mutual understanding of the past, Abe and his team of nationalist historians have promoted a revisionist view of the Second World War which denies the coercion of the so-called “comfort women” and downplays the conscripted labor of 600,000 Koreans under brutal conditions. In fact, in both North and South Korea, politicians and diplomats have long felt humiliated by the Japanese government’s lack of sincerity and contrition . Any country that considers an attack on North Korea must confront the question of who turned the DPRK into such a defiant rogue nation. As much as Kim Jong-Un’s regime is to be blamed for the plight of the country, the three decades of brutal Japanese colonial occupation and the firebombing of North Korea—which exceeded the damage done to German or Japanese cities during World War II—bear partial responsibility for creating this vindictive military regime. Resolving nuclear confrontation requires self-reflection and relativistic thinking. Looking back a few decades, it’s not difficult to find examples of national leaders who were willing to dispense with bombast to avoid disaster. Notably President Reagan and General Secretary Gorbachev, who responded rationally to the prospect of a nuclear holocaust by meeting to address their political and strategic differences in the Reykjavík Summit of 1986, which led to a de-escalation of tensions. To serve one’s nation can also mean to enter into dialogue with the citizens of every nation, and between individuals there is always a hope for healing and transformation. So why should it be impossible to alter the relationships between antagonistic nations?